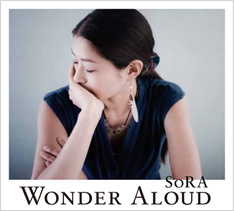 First solo album "Wonder Aloud" released on September 27th, 2013. You can purchase at CD shop in Japan, and the web site of each store. Moreover, the download from iTunes or Amazon mp3 is also possible. Katsui Yuji, Shing02, Akira Kawasaki (mouse on the keys), fancy haezo, Takuya Kojima and FORT.